2. In a separate pan, add water and heat bell pepper and pea pods for 3 minutes or until bell pepper is crisp-tender. 3. 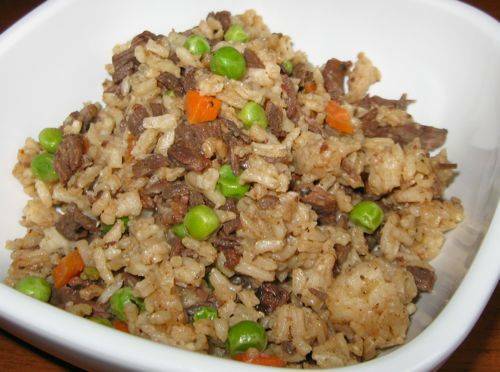 Add rice, soy sauce and sesame oil and stir well while cooking for 3 minutes. 4. Add all ingredients together in the wok and heat for 5 minutes. Stir ingredients thoroughly.